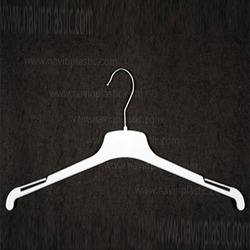 Prominent & Leading Exporter from Tiruppur, we offer crf plastic hanger, plastic clothes hangers, plastic garment hangers, children clothes hangers, nrw-22 plastic hanger and mau-wb plastic hangers. 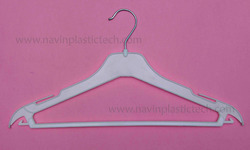 Our company excels in offering Plastic Garment Hangers to the clients. 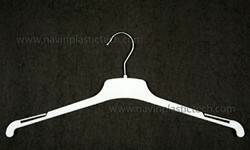 Plastic Garment Hangers are strictly manufactured by diligent professionals keeping in mind the set quality standards utilizing supreme quality material and progressive technology. Offered range can be avail in various designs and sizes to cater to different sorts of demands of valuable customers. These products are broadly demanded in the market for quality and accurate dimensions. 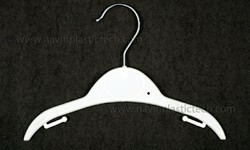 We offer an exclusive range of Children Clothes Hangers. 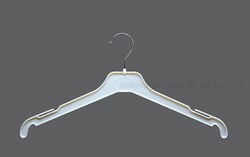 Finest quality metals are used as raw materials to manufacture these hangers. 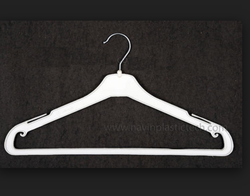 Available under variable product code range, these are designed in different shapes, sizes etc.These hangers are brought into application in merchandising industry and homes for daily use. 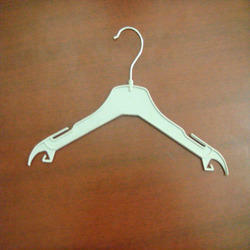 We offer an exclusive range of Coat Hangers finest quality metals are used as raw materials to prepare these hangers. Looking for Top hanger MH group ?